Claude William Macgregor was born on 8th November 1897 at Hove in Sussex. His father was Peter Macgregor and his mother was Christiania Jennings (nee Hubbard). By the age of 3½ he was an orphan, as first his mother and then his father died. He and his elder brothers Peter and Ivor fell under the wardship of William York Macgregor, their uncle. They moved from Hove, first to be placed under the care of Mrs Lermanshand at Herne Bay for three months at a board of £30 for the period, preparatory to being sent to Dollar, which is near Bridge of Allen. Here a home had been secured for them at a board of £150 per annum, with Miss Marshall, of Islay Cottage Dollar. There they received tuition at home and in a preparatory school until they were sufficiently advanced to be admitted into the Dollar Academy. Claude actually went to the Edinburgh Academy. In 1911 he was to be found at the house of Mary Galloway, a 71 year old teacher at a private school. The address was 186 Forrest Avenue. Claude was described as at “School”. At the age of seventeen Claude became a Cadet at Osborne, the Naval College. He started his studies in September 1915, but by 1st April 1916 he was a Midshipman and on 15th April he was posted to HMS Hibernia as she rejoined Grand Fleet after a refit. 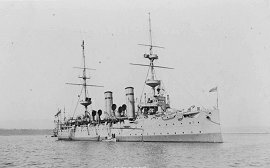 This was a Battleship of the old style, 16,350 tons and 4; 12-inch guns plus 4; 9.2-inch guns as well as 10; 6-inch. He served under Captain Sydney R. Freemantle until 20 Nov 1916 then under Charles P. Beaty-Pownall. 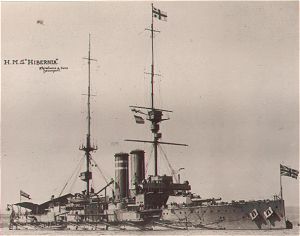 29th April 1916 3rd Battle Squadron, including HMS Hibernia, transferred to Sheerness under Nore Command. 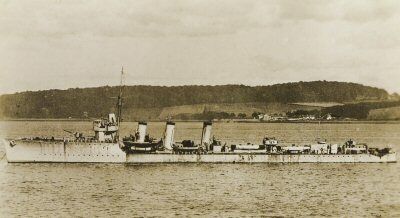 He then moved to HMS Princess Royal on 22nd May 1917 and served on this ship until 21st April 1918. This was a Battle Cruiser of 26,350 tons with 8; 13.5-inch main guns, supported by 16; 4-inch guns. Claude served under Captain Walter H Cowan until 9th October 1917 and then Sidney R Drury-Lowe. During this time he was promoted to Sub-Lieutenant 30th September 1917. He would therefore have been involved in the Second Battle of Heligoland bight on 17th November 1917. 19th September 1918 saw Claude was transferred to HMS Radstock under Commander Richard M King. 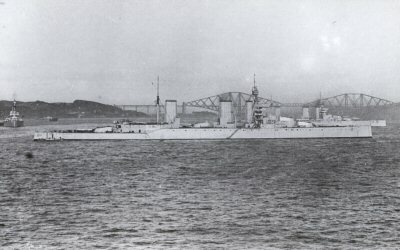 This was an Admiralty "R" Class Destroyer, based at Scapa Flow. HMS Radstock was launched at Swann Hunters on 3/6/1916 , 1050 tons , 276 x 26.5 x 9 feet, Turbine 27000shp, 36 knots, Armament 3 x 4inch, 1 x 2pounder, guns, 4 x 21inch Torpedo tubes. Pennant G79 1916 changed to G78 1917 and changed to G81 in January 1918. Sold 1927. On 4th March 1919 he was transferred to HMS Velox under Commander Fischer Burges-Watson. Claude became a Lieutenant on 30th September 1919 passing the exam with; Seamanship 2nd class 417/600; Navigation 2nd class 400/560; Gunnery 3rd class 338/600; and Torpedo 3rd class 265/440. Note: In 1918 and until his release from the navy in 1920, Frederic Suttcliffe EARLE (Born NORTHLEACH, Gloucestershire) also served on HMS Velox under Commander Fischer Burges-Watson and travelled to the Baltic Sea north of Russia during the Bolshevik revolution. Before this ship departed, there are records of an attempted mutiny by some 100 men, who dreaded the idea of going into the cold northern sea. Claude went for a course of instruction at Cambridge University on 23rd April 1920. On 21st January he passed the TCC with 81%. The posting to HMS Rocket came on 21st March 1921. This was a Torpedo Boat Destroyer of 1,065 tons with 3; 4-inch guns. His captain was Commander John O Barron. This ship was the tender to HMS Dido an Eclipse Class Second Class Protected Cruiser, then based in Harwich. Claude was placed on retired list “at own request” on 22nd May 1922, in what became known as the Geddes Axe. He became a Lieutenant Commander 30th September 1927 but was removed from list on 21st April 1931. Claude Macgregor married Cecil Elizabeth Moya Bradley on 5th November 1924 at the St Martin's Register Office, in the presence of WF Elms and A Raypons. Claude was living at 55 Westminster Mansions, Great Smith Street, London and Cecil gave her address as the Strand Place Hotel. Cecil was an opera singer from Australia born in 1901. Cecil’s father was Isaac Bradley and her sister Eva, was a stage dresser and dressed her sister for many of her performances. In 1926 Claude and Cecil were living at 27 Maresfield Gardens, Hampstead, NW3, but in 1927 they had moved to 120 Highbury New Park, N 5. In 1930 Claude and Cecil were found at 12 Castelnau Mansions, Barnes, SW13 and were there still in 1935. Along with many other retired officers, Claude offered his services again prior to the beginning of WW2, the offer was taken up on 22nd June 1939. 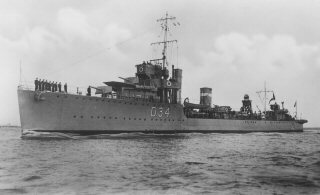 He was posted on 6th February 1940 to HMS Asturias. This was an armed merchant cruiser commanded by Captain J R S Halnes. 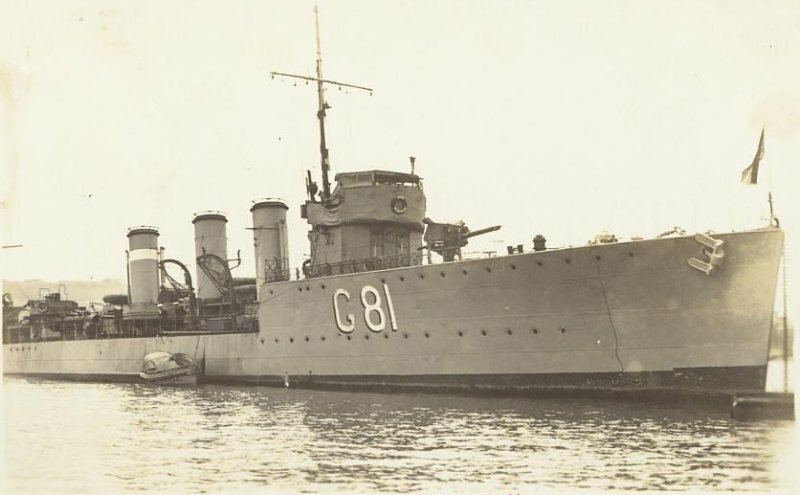 Claude served on this vessel for most of WW2, becoming an Acting Commander 22nd May 1940, but at the end of the war he was the Naval Officer in Charge of Venice. He and Cecil moved to Wellesley Cottage, Tilford, near Farnham in Surrey around 1942. Claude Macgregor became a Commander on 8th May 1946 and retired on 28th April 1947. He lived at Wellesley Cottage until he died, on 27th of March 1956, of lung cancer. Cecil survived him for another six years, until being killed in a house fire at Wellesley Cottage on 20th of May 1962.